The latex foam we carry is 100 percent natural latex foam made from rubber trees. After we receive your order, processing typically takes about 5 – 10 business days. Shipping via local expedition typically takes about 5 to 6 business days. Custom orders take about 10 to 15 business days for processing. Due to the one-of-a-kind nature of custom-cut orders, they may not be returned or exchanged. Bali Natural Latex are proud to only sell 100% Natural latex foam products. Bali Natural Latex never sell any products that contain synthetic latex. While Bali Natural Latex don’t sell products that contain synthetic latex, Bali Natural Latex do get a lot of questions about synthetic latex products sold by other companies. 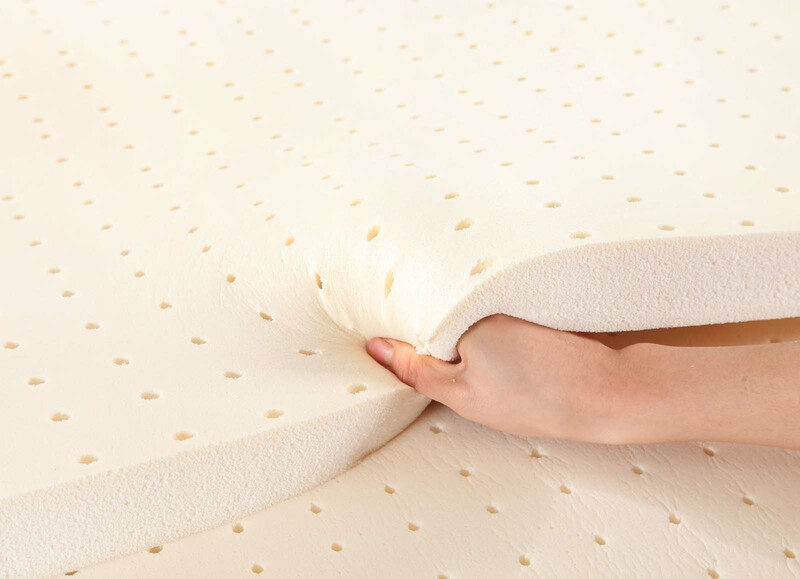 Bali Natural Latex want our customers to understand the differences between natural, synthetic and blended latex and why those differences are so important to understand when purchasing a latex mattress, pillow or latex mattress topper. Bali Natural Latex originally sold blended latex foam because Bali Natural Latex could sell it at a lower price point and could source it from a factory in Indonesia. Bali Natural Latex eventually came to the conclusion that our customers had much more interest in our 100% natural latex foam. We also strongly preferred to sell our customers 100% natural latex foam because we knew it was a much better product. We found that occasionally customers were simply buying blended latex from us because they did not fully understand the difference and wanted to save a little bit of money. In the end, we decided that while synthetic latex or blended latex has some merit, we have a much stronger belief in the merits of 100% natural latex foam. We felt that we were selling our customers short by selling them a product, that while a little cheaper, was very clearly inferior.